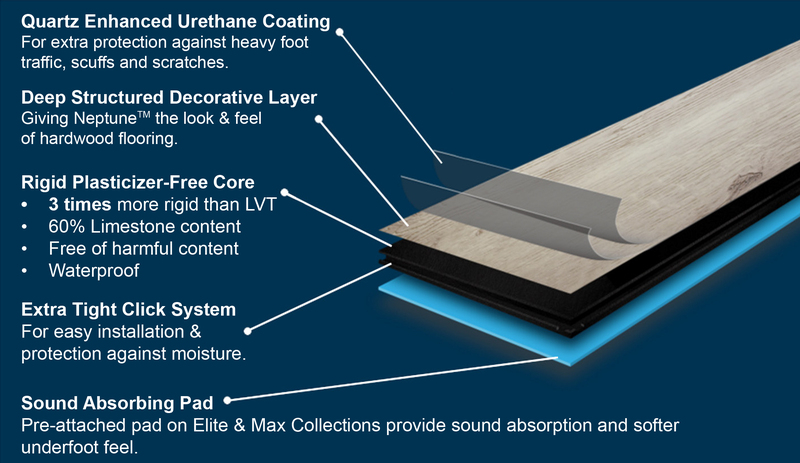 Neptune Rigid Core Waterproof Flooring is for anyone who wants the look and feel of real hardwood, but doesn't want all the required maintenance. 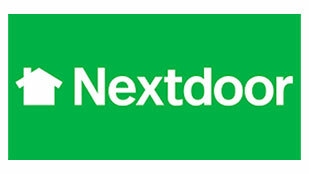 This product is constructed of 4 distinct layers, which make this product most desirable by consumers today. 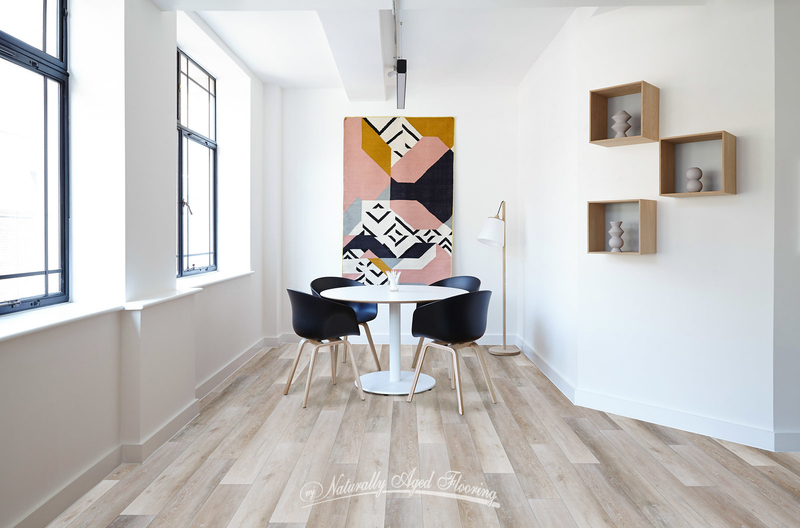 From impact resistance, sunlight resistance, and being waterproof, Neptune is the flooring of choice by many. 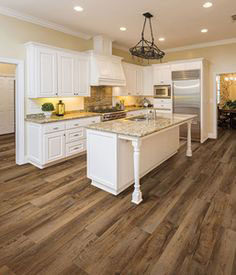 Dixie-Home Luxury Vinyl Flooring has an extensive collection with various styles and colors to choose from. Designed with pet-friendly technology, Dixie-Home LVP is also waterproof, resistant to odors and stains, scratch guard applied, and very easy to maintain. Whether your style is contemporary or traditional, Happy Feet has the styles and colors that will fit all your design and decor needs. 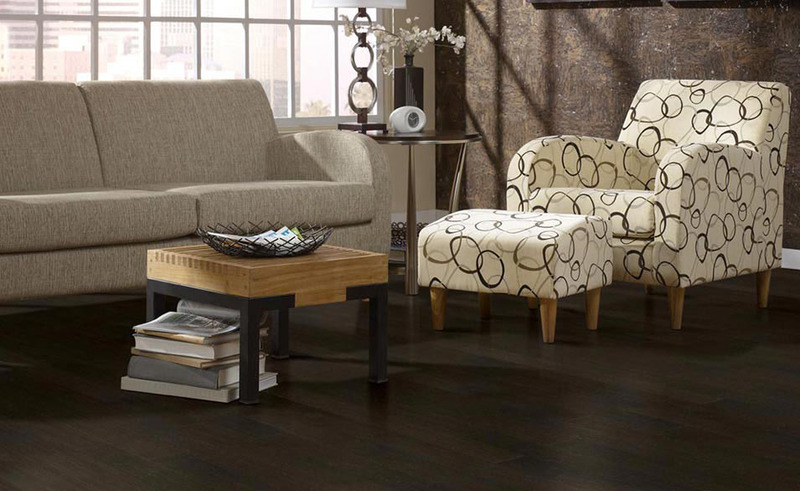 Specializing in Luxury Vinyl, Happy Feet is your go-to flooring source for superior products. 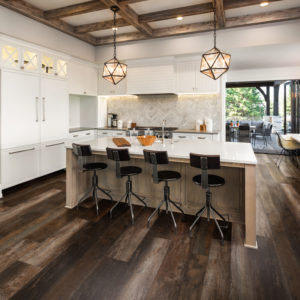 Naturally Aged Flooring offers a 100% Waterproof Luxury Vinyl Plank Floor Covering. it also features dent resistance, scratch resistance, and a beautiful real-wood appearance. 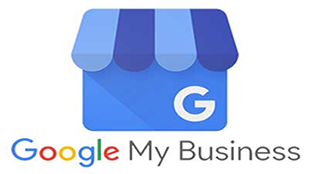 Many style and colors are available to meet your design needs. 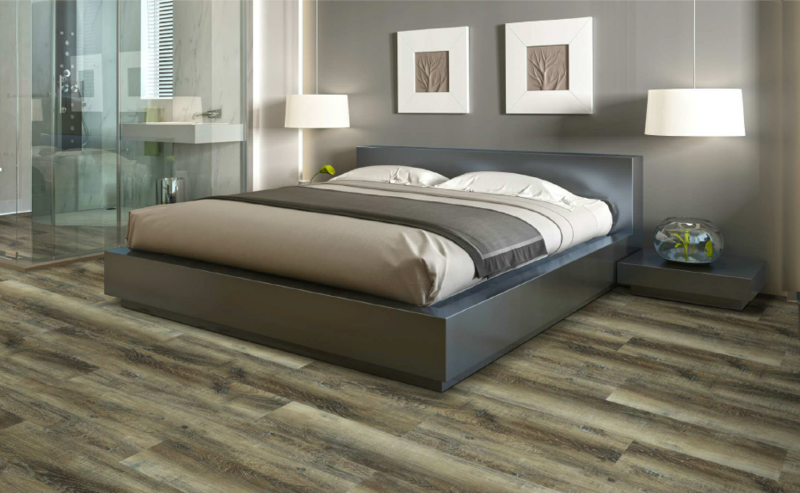 This innovative product by Harris has the remarkable resemblance of wood and all the benefits of cork and vinyl flooring all in one package. 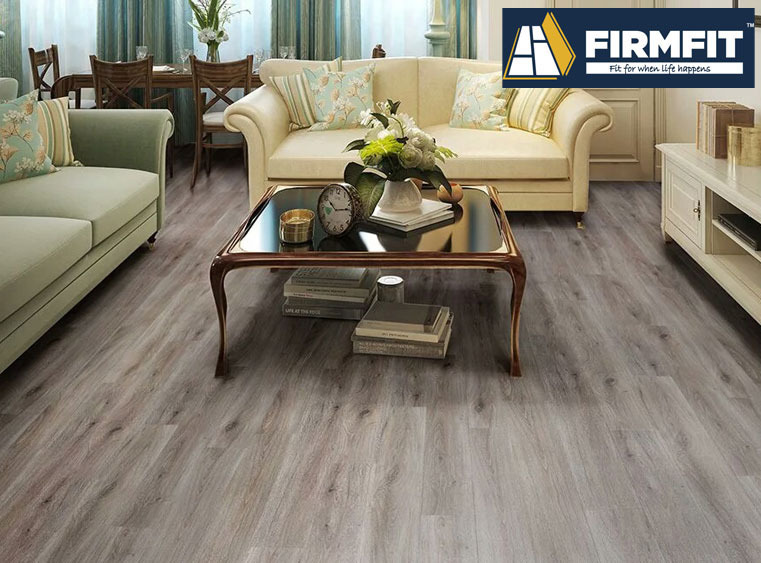 Offering moisture resistance, versatility, and durability, this product can be used in all areas of your home. Warmth to your feet, silence, and superior impact resistance, make this the product of choice for many homeowners.